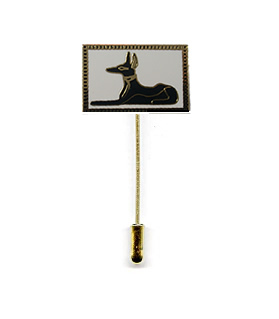 Anubis lapel pin is a fantastic piece done in high quality enamel with gold plating. This is great funeral director gift or Egyptian collectable. Check out our matching Anubis cufflinks and tie bar!